The kids of poker who have already hit the big money! I’m sure we all love a good game of poker, and the fun that comes with it. From the excitement of the unknown, the thrill of getting a good hand and the challenge of trying to read and bluff your opponents. Poker brings out a lot in us and can be a great source of entertainment, whether you are sat around the table with your mates or playing against players all over the world with Coral casino. However, for some people, poker is a lot more than fun, and as we know, there are big bucks to be made on the bigger poker scene, and here we will look at some of the players who have managed to forge hugely successful poker careers. Oh, and to make you feel that little bit worse, the players are 25 years old or younger. There’s only one place to start when we are looking for the best young players out there, and that’s with Fedor Holz, the German who only turned 23 in July! He has already shot up to 9th in the all-time money list and is currently the highest earner to ever come from Germany, and the scary thing is that he’s only getting better. 2016 has already been a formidable year for the young man, as he is number one for earnings in this calendar year, because of several high profile wins. They include the Triton Super High Roller that paid Holz just under $3.5m and he earned the same amount for finishing second in a similar event. Yet, his best win was still to come, and Holz claimed his first prestigious World Series of Poker (WSOP) bracelet and took home a massive $4.9m as prize money. Wow. That has taken his career earnings to over the $18m mark and it doesn’t look like stopping anytime soon given his current performances and his age. That’s $18m, at 23 years old, from poker. Incredible! Of course, a lot will depend on Holz’ future plans and what he wants to do with his career, but he is the brightest star of all on the poker scene and will keep climbing up the money list with his impressive form. Another player who has slowly grabbed the headlines over the past few years is American Joseph McKeehen, who is 20th on the all-time list and has generated a very impressive $11m in career earnings. 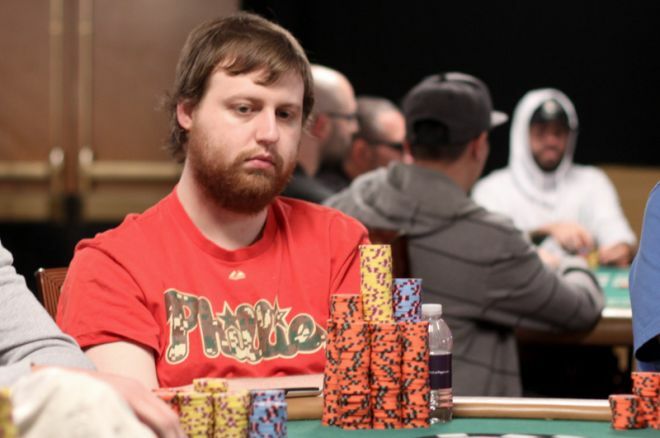 The highlight of that came in the 2015 WSOP $10,000 No Limit Hold’em Main Event, where the Pennsylvania native superbly notched his only bracelet to date and amassed a whopping $7.6m in prize money. Not a bad day’s work, eh? While he was already known on the poker scene after winning smaller titles in 2012 and 2013, the 2015 success really catapulted him up with the elite. He was just 24 years old when he pulled off the massive win. Prior to that win, the highest purse he had received was $820,000, but as he has increased his experience, victories have followed. Earlier this year he added another $1.2m to his pot after coming runner up at the PokerStars Caribbean Adventure. All in all, that makes McKeehen another player to watch as he continues to improve. The bracelet victory was the real statement win that he needed and you can expect him to go from strength to strength as he looks to make a real impact in the poker world. Another German who has made the list which shows how the game is growing over there, and once again, just 23 years old, but unlike Holz, Schemion’s career earning are just $11m… the poor guy! Once you’ve stopped feeling sorry for him, I’m sure you will be interested to see how his career has gone. Despite the massive earnings, Schemion has yet to add world success to his vast European wins. He has still managed to make two money finishes on the world stage, but his European pedigree is what has made him so wealthy. He recently displayed that again, by seeing off several well-known names to come out on top at the France Poker Series which was held in Monte Carlo, and he scooped a cool $1.8m. A day out in Monaco and nearly $2m in prize money, can’t complain. Anyway, given his tender age, it seems inevitable that Schemion will continue to grow as a poker player and make a big impact and only increase his already vast wealth. He is widely regarded as one of the best young players in the modern format and currently lies 37th on the all-time money list, but if manages to live up to his potential then there is every chance he will fly up those rankings. Keep an eye on him! Mustapha Kanit is the man when it comes to Italians playing poker. 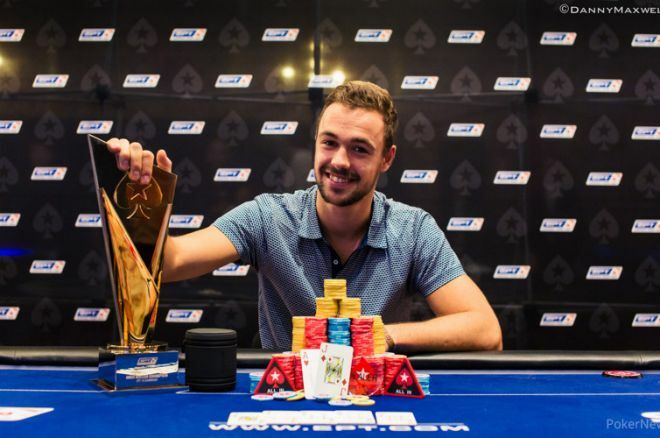 At 25, he has already become the number one player from his country, with earnings of over $7m which is nearly double his closest compatriot Max Pescatori. His wealth chiefly comes from his success on the WSOP where he has delivered nine money finishes which includes three final table positions. Like the rest of the youngsters on the list he has brought his fine form into 2016. He earned around $1.5m for finishing 2nd behind Schemion in the recent event at Monte Carlo and before that he took $500,000 for winning an event in Dublin. Over the years he has also recorded big victories in Melbourne and at the High Roller’s tournament Bahamas. All of this success has put him 72nd in the all-time list, and once again, he will be hoping to improve with more success at the upcoming events. Either way, with $6m in the bank he could give it all up tomorrow and still live a great life. Good for him! So there you have it, these four young men have already got more money than we could possibly dream of, and spend their time travelling the world playing poker. Sounds brilliant doesn’t it? Well, while we cannot promise that you have the same skill to get the big wins, you can still head over to Coral for the chance to replicate the thrill and excitement of the poker tables. Good luck!